Hosts were wonderful. Property was immaculate, peaceful, private and very comfortable. A short drive from the town, which was a plus for us. Thank you Harry and Shirley! Generous welcome food & drink basket, beyond our expectations. Good advise on local attractions and further travels in the North Island. Clean, spaceous stay. Shirley and Harry have been super hosts, they took care of any need immediately and provided even food and drinks. It was like staying with friends. Lovely cottage with everything you need! Shirley and Harry are lovely people and give you a warm welcome to their cottage. They even provided some food for breakfast and drinks for the afternoon / breakfast. Definitely recommend this place. The lodge was beautiful and set in an amazing location; we could easily walk down to the beach. Harry and Shirley were the perfect hosts and invited us round on Christmas day. To top it all off I also proposed on Christmas day and I couldn't think of a better place to have done it! Everything about this experience most most pleasurable. Hosts Harry and Shirley were the most hospitable couple we have ever come across nothing was a hassle. We were stuck for some where to stay we contacted them at 8.00 am in the morn and were walking in by 10.00. At such short notice they were most accomodating. Thanks Harry and Shirley you made our weekend. Lock in a great price for Treetops Cottage at the Castle – rated 10 by recent guests! 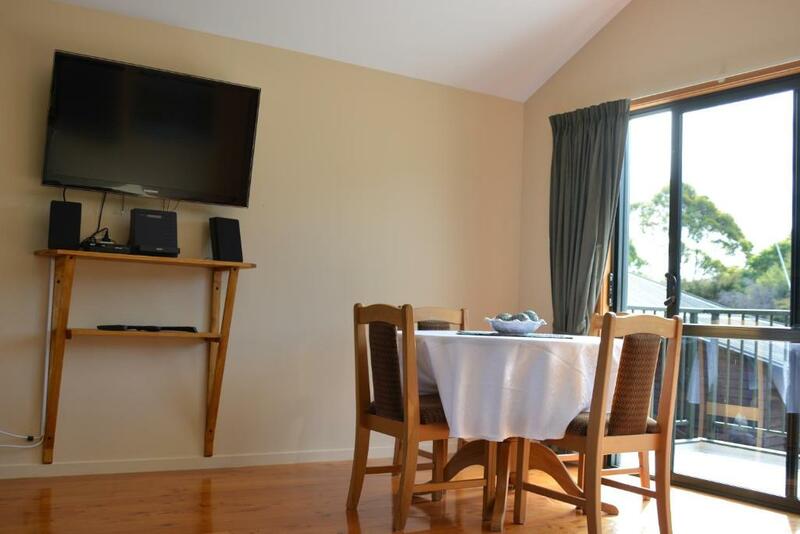 Featuring accommodations with a balcony, Treetops Cottage at the Castle is located in Whitianga. 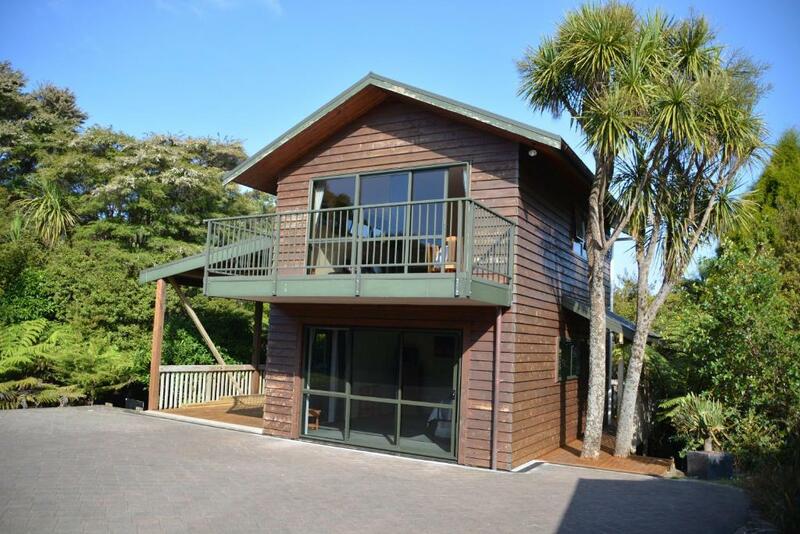 Featuring sea and mountain views, this chalet also features free WiFi. 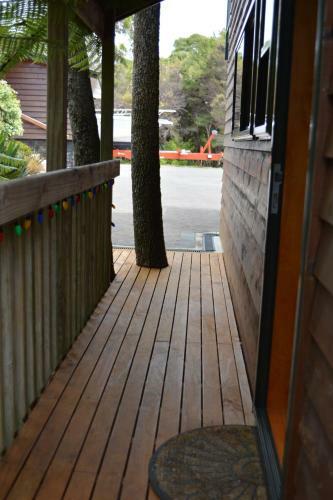 The chalet is composed of 1 separate bedroom, a fully equipped kitchen, and 1 bathroom. A flat-screen TV is provided. The chalet has a sun terrace. Guests can relax in the garden at the property. Coromandel Town is 26 miles from Treetops Cottage at the Castle, while Hahei is 24 miles away. This property also has one of the top-rated locations in Whitianga! Guests are happier about it compared to other properties in the area. 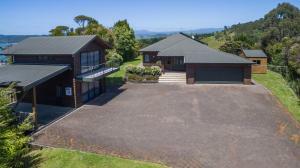 This property is also rated for the best value in Whitianga! Guests are getting more for their money when compared to other properties in this city. When would you like to stay at Treetops Cottage at the Castle? This chalet has a balcony, stovetop and kitchen. We enjoy meeting people from different parts of the world and look forward to hosting you in our piece of paradise. The property has beautiful views of Whitianga township and Mercury Bay. 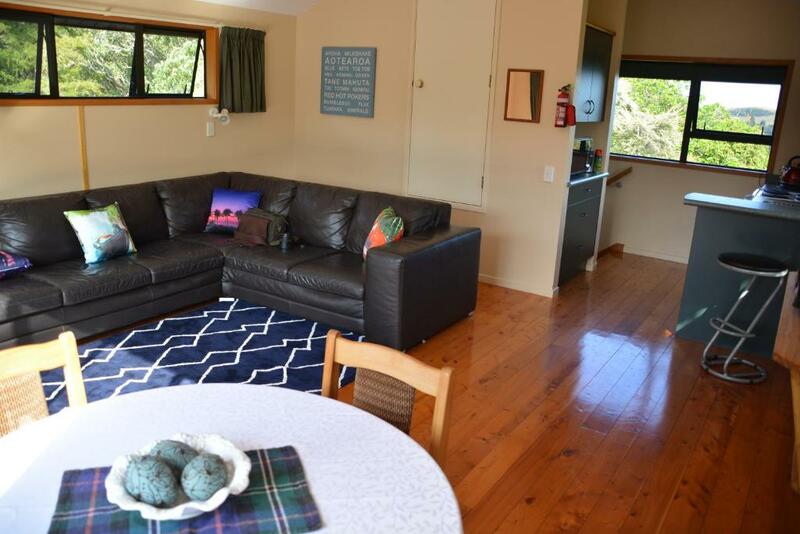 Your cottage is fully self contained so you can cook for yourself. But you are only 5kms away from awesome restaurants and coffee shops. We provide you with a welcome basket of food, which will be more than enough for your first breakfast. So do let us know any preferences or dietary requirements. Harry is retired and enjoys fishing, but he hasn't had much opportunity to finish refurbishing the boat and getting it back in the water. I am a university lecturer. It would be fair to say I am a bit of a news junkie. 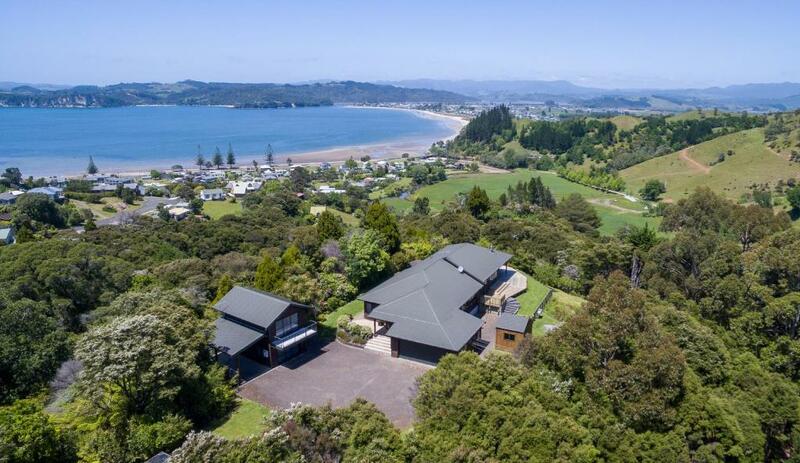 Whitianga is a great place to use as a base from which you can explore the very many beautiful beaches on the Coromandel peninsula. Our neighbourhood is quiet and safe away from the hustle and bustle of a holiday town. House Rules Treetops Cottage at the Castle takes special requests – add in the next step! Please inform Treetops Cottage at the Castle of your expected arrival time in advance. You can use the Special Requests box when booking, or contact the property directly using the contact details in your confirmation. Nothing. 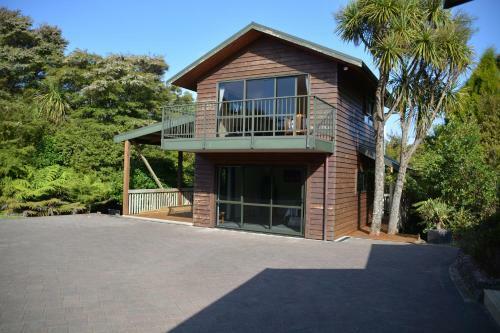 We hoped to get a good place to stay for the final days of our honeymoon in New Zealand. It could not have been better. Beautiful spot, great hosts, and the welcoming food & drinks were a nice touch. There was nothing we didn't like! Couldn’t find anything to complain about. Lovely welcoming hosts and amazing location. The food provided was above my expectations. The owners of this property went above and beyond, making us so welcome, showed us around the property and were on had to answer any questions. Very friendly! We had a great welcome, and the food basket was a great idea, and we liked the independence. It was as if we had known Shirley and Harry a lifetime , chalet 5 star ⭐️ We arrived to an overflowing fridge full of goodies . Best sleep ever in their little piece of paradise . We will be back !